Regulations governing the alcohol business are reviewed periodically because business practices and tools change. Over the past decade we have seen many states accommodate the internet, approve new financial tools and allow different promotional methods. However, cries for a “radical overhaul” of “antiquated” laws are sometimes a call for deregulation by industry segments which would gain more profit from such deregulation…usually at the expense of other local businesses. 1. The task force or advisory committee must involve all the important constituencies: law enforcement, public health, prevention in addition to industry segments. Sometimes theseconstituencies are part of the committee or task force, but other times it is better to have members who have no personal or business investment in the issue. In the latter case, all constituencies would need to have ample opportunity to provide input. The recent Massachusetts task force used a series of working groups and town halls to provide a rich source of input. 2. You need constituency representatives that are willing and able to clearly articulate the issues and concerns of their group. This requires that they be carefully selected, and I have found that you may need to specifically invite people to participate. I have seen constituency representatives who attend, but do not contribute. That is a detriment to the balance of effort needed. Try to recruit participants who represent the common interests of a particular constituency, not individuals who have a specific axe to grind that is not in synch with the broader constituency. 3. To get the best people to participate, promise a limited number of meetings that are well organized. Good people are in demand and have limited time. When I asked for participation I promised a specific number of meetings such as 6 meetings once a month for no more than 4 hours. I was pleased when the task force actually held to those limits. 4. The task force’s mission and expectation should be clear; and it should fit within the purpose of the regulatory agency. 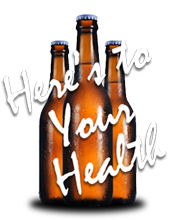 Generally speaking, alcohol regulation requires public health and safety as a priority. In Oregon, the purpose of regulation is in statute. The first clause lists three public safety concerns. The second clause encourages the development of industry as long as it is consistent with the public safety concerns. I have used task forces for specific issues such as addressing the need for new liquor stores or proposing a streamlined license system. Many of today’sefforts seem more broad reaching. Indiana has a two-year alcohol code revision effort with a required focus in 2017 on retail sales issues. 5. Excellent staff work is critical. Staff is needed to provide background material and to summarize information. No one should expect a task force member to read three inches of material before every meeting. Staff can help by making presentations about the subject matter, the history and what other states do in similar situations. They can provide summary sheets and respond to inquiries. All material should be in easy-to-understand language as legalese and statutory language are not always readily understood by all. 6. Factual information from studies, national and state data sources, and public opinion surveys is very important, but it must be from a reliable source. You want the task force to have the best facts available. But, that is sometimes easier said than done. I have seen some studies that have wild prognostications that defy belief! It’s best to use sources that have established standards for their work. One such group is the Community Preventive Services Task Force. This task force reviews research on alcohol policies and makes recommendations based on specific criteria. While they are organized by the Centers for Disease Control and Prevention, they are independent. 7. There must be a clear plan for implementation. Nothing worse than a fine task force report that just sits on the shelf! Participants feel their time was wasted. For each recommendation, there should be a plan for implementation. Some things can be done simply by administrative change, others by rule-making. Still others will require legislative change and sign-off by the governor. This will require working the recommendations through the legislative process and will require spokespeople and champions. When I convened a group to streamline our license system (we had 37 different license types), we agreed that we would not change anyone’s license privileges; we would just simplify and streamline. We got industry support and they helped move it through the legislative process even though it required a massive re-write of the statutes. Having a well-organized process with excellent staff work will help make the work enjoyable and well worth the effort. “Massachusetts is looking at a radical overhaul of its byzantine alcohol laws.” By Dan Adams, Boston Globe, December 28, 2017. “Massachusetts needs to update alcohol laws,” Viewpoint by Deborah B. Goldberg, WB Journal.com, Worcester Business Journal, March 20, 2017. “Alcoholic Beverages Control Commission of Massachusetts: Task Force Report, Recommendations to the Honorable Deborah Goldberg, Treasurer and Receiver General of the Commonwealth of Massachusetts.” E. Macey Russell, Kate R. Cook, Deborah GoldAlexander, Rachael S. Rollins, Peter Wilson, Lisa Wong, Robert Cerasoli, December 22, 2017. Alcohol Code Revision Commission, Interim Report, Indiana Legislative Services Agency 200 W. Washington Street, Suite 301 Indianapolis, Indiana, 46204, Friday December 1, 2017.